When it comes to carving a niche, some of the most epic entrepreneurs have carved theirs in the market for business mailing machines and postage meters. Today, some brands have become a common name in the business world for mailing and postage technology. To profile some of those brands, and to lead your business in the ideal direction when investing in such technology, below is a profile of five industry-leading manufacturers of business mailing machines and postage meter products. Neopost specializes in manufacturing postage meters and other mailroom equipment, which was what the company was originally founded for in 1924. Today, as they’ve grown larger in size, they have successfully integrated several other smaller software companies into their business of operations and now also offer packages that service customer care management, optimizing shipping processes and solutions, and data collection and analytics. 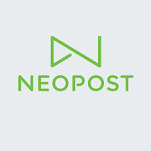 The core business behind Neopost still focuses on the printing industry. Although they are one of the leading manufacturers of mailing machines and postage meters in the countries, they have been rated by several organizations as having poor customer service and unfair client contracts. Neopost mailing system products are, however, ranked well and do provide the customer what he or she is looking for. Data-Pac is probably best known for their leading software and hardware mailing products that they make. They were the first company to manufacture a postage meter that that could connect with the Internet and read postage information online. They are in a close partnership with the United States Postal Service (USPS) and they ensure that their products and software can be made compatible with the hardware devices of other mailing companies as well. Their whole focus is to create effective and low-cost solutions. As a company that was started about 35 years ago, Data-Pac is young compared to the other bigger players in the market. They are, however, still one of the leading providers or software for the mailing industry and both their products and their reviews consistently get high reviews. They are a postage meter manufacturer that is highly recommended by all. Pitney Bowes was founded in 1920 after one of the founders, Arthur Pitney his “double locking” hand cranked postage stamping machine that would automatically put stamps on mail that would come in through mail rooms. Since there was a massive in flux of mail that was being sent around the country, many post office were open to the idea of automating the process as much as possible to deal with the high volume of mail. Now, Pitney Bowers has branched into the eCommerce related space and has operations on a global level. 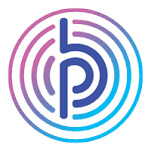 Pitney Bowes has been accredited by the Better Business Bureau (BBB) with at A+ rating since 1996. They not only have received high rating for their products an customer services but they also have received high ratings from their employees, who state that working there is a very enjoyable experience. Gunther International has received many praises regarding the quality of products that they produce. Their products are ideal for companies and office and both receive and send out a lot of mail. Although their management ability has been stated as needing improvement, they do have an overall good level of customer satisfaction. Hasler Inc. prides itself in providing product solutions for the level of mail flow that you need. Their products are divided into three tiers: Low-Volume, Medium-Volume, and High-Volume. The Hasler network focuses in North America and innovative, cost-effective mailing and shipping systems and mail support equipment. Hasler customers have given the company high ratings and approve both the products and the customer service that they provide. Although Hasler products are generally more expensive than their competitors, the quality of the products that they create is unmatched. If you want a high quality service and are able to afford it, Hasler Inc products are the way to go.